The must-read summary of Pete Mazany's book: "Teamthink: Team New Zealand: The "Black Magic" of Management Behind the 1995 America's Cup Success".This complete summary of the ideas from Pete Mazany's book "Teamthink: Team New Zealand" presents a "vision-driven" model for managing extraordinary teams, projects and organisations. This model for successful project management was exemplified by the success of Team New Zealand in winning the 1995 America's Cup. In his book, the author explains that there are four components to this project model and when each of those components is in place, high-quality outcomes can be achieved. 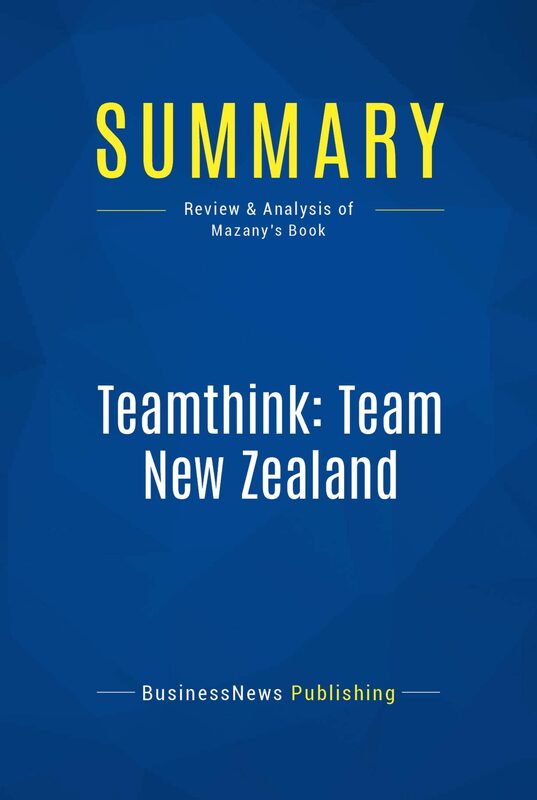 This summary is a must-read for all leaders who want to learn how to get the most out of their team.Added-value of this summary:• Save time• Understand key concepts• Expand your knowledgeTo learn more, read "Teamthink: Team New Zealand" and discover the key to taking your company to the top.